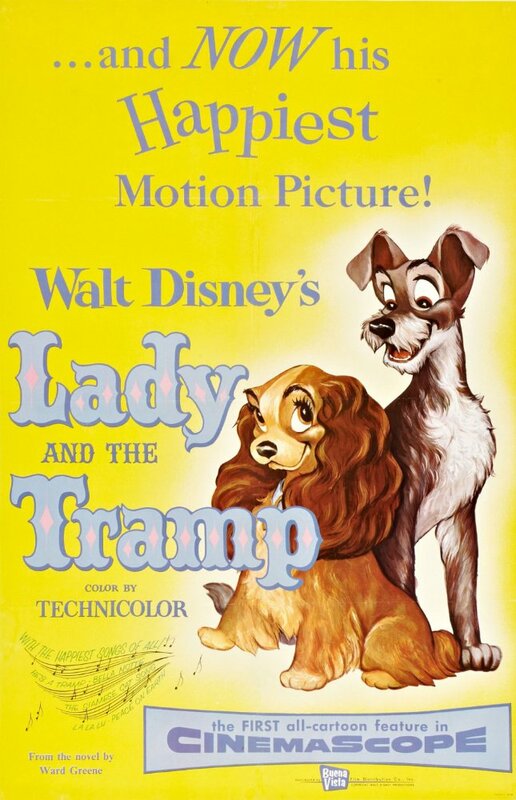 Plot: A refined, upper class spaniel and a rapscallion mutt fall in love in this classic piece of Disney animation. Nothing can beat puppy love, it's too cute to beat. Lady and the Tramp is about a refined, upper class spaniel and a rapscallion mutt fall in love in this classic piece of Disney animation. Lady and the Tramp is Disney's finest work of animation. The chemistry between the two dogs are too adorable to watch which always brings a smile to my face all the time. And the dinner scene with the iconic spaghetti kiss that was so romantic it's better then most romance movies starring human people. It's interesting when an animated film, about dogs, can produce one of the most memorable date scenes. Not magical, adventurous, or full of great characters and songs (like most Disney films), but it's still one to watch. This Disney film often gets overlooked in the canon of animated classics, but it is appropriately touching and features some sinister and menacing villainy in the Siamese cats. The Lady and the Tramp was one of my favorite movies as a child, and I still find it cute today, but I tend to drift away from cute things now. As a whole, the story for Lady and the Tramp is really charming and sweet. The more memorable scene, the Italian restaurant scene, is just as cute as the rest of the story, making Lady and the Tramp one of the cuter Disney movies ever made. The way the animation is done also helps the movie out, making the dogs and cats adorable, almost too cute for the screen. No posts have been made on this movie yet. Be the first to start talking about Lady and the Tramp!